Go to… Go to… Home Russie's Listings - Open Houses Search for Homes - How to Search Properties - Advanced Search - Map Search - Foreclosures - Lake Mary/Heathrow - Sanford - Oviedo - Orlando - Lake Mary Homes - Sanford Homes - Oviedo Homes - Orlando Homes - Lake Mary Homes - Sanford Homes - Oviedo Homes - Orlando Homes Buyers - Dream Home Finder - Mortgage Rates - Schools - Relocation - Weather Sellers - FREE Market Analysis About Me Contact Me - Real Estate News!! 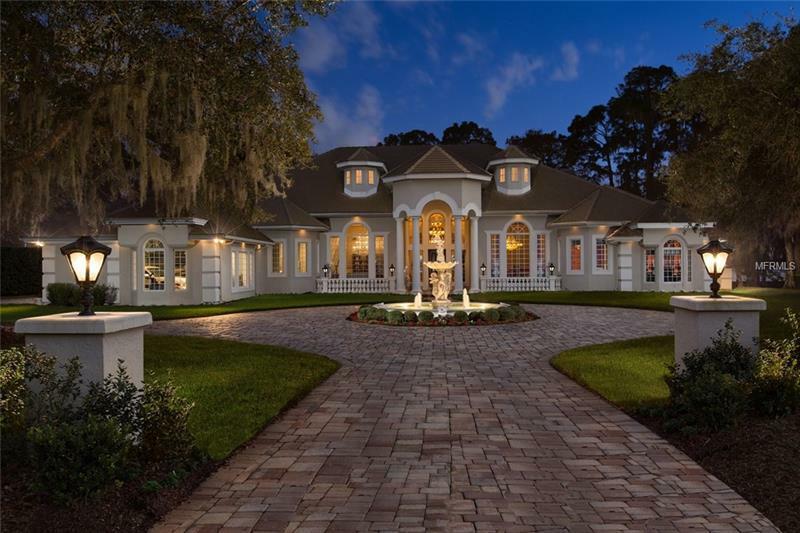 Magnificent Butler Chain estate located in the exclusive guard gated community of Cypress Point is truly one of a kind. Stunning views provide the backdrop for the grand foyer as you enter, with every part of the 167 ft of pristine Lake Sheen waterfront on display. Your eyes are immediately drawn to the 20 foot ceilings and massive windows that engulf the home in natural light. An entertainers delight with formal dining room and game room on either side of the foyer, each with exquisite imported chandeliers. The kitchen is a chefs dream, from the built in gourmet coffee machine to the gas cook top, professional steamer, and top of the line appliances, it truly has everything a budding chef would desire. The grand master suite is a perfect retreat to unwind in total serenity. The huge master closet which was featured in design magazines an leads through to the sumptuous spa bathroom, complete with steam shower and beautiful views of Lake Sheen. The breathtaking outdoor areas include a resort style pool with hot tub, summer kitchen, and a massive covered seating area and fire pit to showcase the lake views. The private dock offers superb access to the Butler Chain of lakes as well as a splendid area to enjoy sunsets and nighttime fireworks. This is a once in a lifetime opportunity to buy a fully remodeled dream home in the exclusive Cypress Point community. A MUST SEE. Copyright © 2019 Mid Florida MLS. All rights reserved. The data relating to real estate for sale on this web site comes in part from the Internet Data Exchange Program of Mid Florida MLS. Information provided is for consumer's personal, non-commercial use and may not be used for any purpose other than to identify prospective properties consumers may be interested in purchasing. Watson Realty Group participates in the MFRMLS Internet Data Exchange (IDX) program, allowing display of other MFRMLS broker's listings on this site. However may not include all listings currently available. Information is deemed reliable but not guaranteed. Information last updated at 2019-04-18 05:51:20.